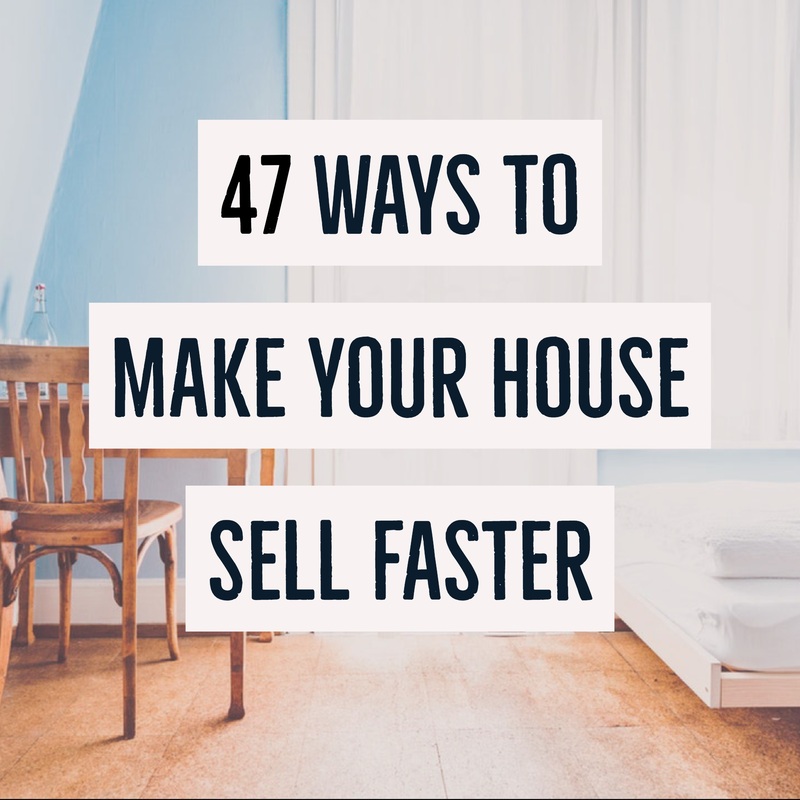 Suggestions and ideas to improve your home’s appearance and help you prepare to sell it faster! 2. Create a positive mood. Turn on all lights, day or night, and install higher wattage light bulbs to show your home brightly. 3. Remove clutter from each room to visually enlarge them. This must be kept up the entire time you have your home listed. 4. If you have a fireplace, highlight it in your decorating. Only have one or two items on the mantle. 6. Replace the carpet if it does not look great after a professional carpet cleaning. 10. Put family photos, personal items, and of course valuables out of sight or in storage. 11. Improve traffic flow through every room by removing unnecessary furniture. Less is more. 12. Create the feeling of a spacious entry area by using decorative accents and removing unnecessary furniture that might crowd the front door. 15. Repair or remove any loose or damaged wallpaper. Wallpaper was once very much in style, but today it is not. You may want to consider removing all old wallpaper and painting. 18. Use plants in transitional areas of your house, but don’t overwhelm by turning a room into a greenhouse. 19. Make the most of your attic’s potential. If you have good insulation, make sure to show it off. 20. Remove and/or hide excess extension cords. Make sure there are no exposed wires anywhere. 21. Open doors to areas you want potential buyers to see, such as walk-in closets, pantries, attics, etc. 22. Remove all pet and smoke odors. Clean and change litter boxes daily. There are many ways to do this today. Make sure to ask your realtor for advice. 24. Microwave a small dish of vanilla twenty minutes before a showing and place it in an out-of-the-way place. Some sellers have even baked a batch of cookies and left them out for the buyers with a note to take one. 25. Highlight an eat-in area in your kitchen or your dining room by setting the table for dinner. 26. Add a bouquet of fresh flowers to the dining room table or elsewhere in the home. 27. The kitchen and bathrooms should always be spotlessly clean. 28. Expand your counter space by removing small appliances and other miscellaneous items. 29. Depersonalize bedrooms and decorate in a neutral scheme. Buy a new bedspread or pillows. 31. Organize your closets, remove unnecessary items and put them in storage. Closets need to look as nice inside as the rest of the room. 32. Put out fresh towels and decorative soaps. 33. Do not leave towels around and wipe down the sinks and shower areas after each use. 34. Re-caulk the tub if the caulk is not sparkling white. 35. Repair or replace broken tiles in the shower/tub. 36. Replace shower curtains and keep them clean. 37. Keep the yard mowed and raked at all times. Remove leaves in the fall. 41. Paint all entrance doors. Many sellers accent the front, by painting the front door a contrasting color. 42. Make sure the garage door opens easily. Fix and paint garage doors if necessary. 43. Clean and shine all hardware and accessories indoors and out (door knobs, knockers, lamps, mail box, address numbers, etc.) Make sure there aren’t cobwebs in the corners. 44. Consider power washing the outside of your home, if you are not going to paint it. 45. Trees and shrubs should be trimmed and pruned. Make sure the front shows especially well. 46. Use a new doormat to welcome buyers. 47. Be sure the front door and screen work perfectly and that the doorbell is in good working condition.